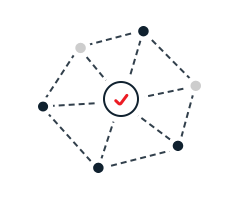 PerimeterX provides the most powerful, accurate, and proven bot detection solution. PerimeterX is built upon machine learning based behavioral analytics to achieve the highest level of detection accuracy and scalability. 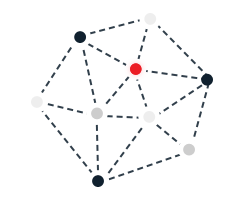 It also includes the most comprehensive set of integrations for seamless deployment into any infrastructure. 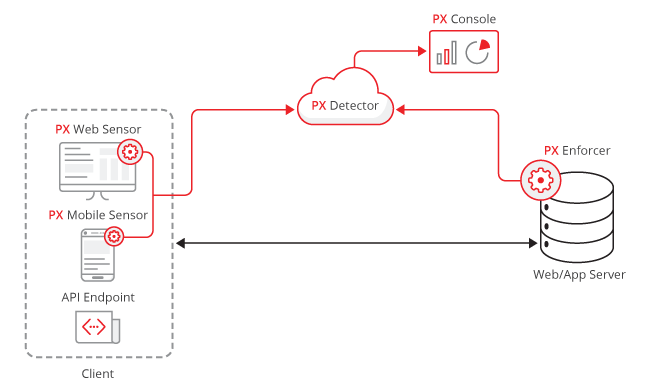 Our sensors collects and sends data to analyse the user’s and the device’s behavior as well as different network activities. The sensor can analyze the authenticity of the device and application, and track user behavior and interaction. Our management console displays all normal and malicious bot activity on your site in real-time. Our cloud-based detector evaluates sensor data in real-time using machine learning and behavioral analytics to create a risk score. The risk score identifies whether a user is malicious or not and is sent in a secure and encrypted token back to the user’s device. The risk score is picked up by our enforcer. Based on the score we block or challenge the user. We are able to either incriminate or exonerate the user based on the nature of the page and threat. Our management console displays all normal and malicious bot activity on your site in real-time. We analyze the user network characteristics and information provided at the network level. We use it for detection, but it’s the least accurate and most easily spoofed signal. So we go a step further. 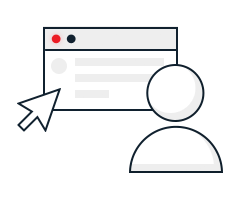 We collect hundreds of indicators from the browser such as features, sensor data, and visual and audio rendering. We then compare these indicators to our library of browser profiles. For mobile apps we detect device capabilities and environment. 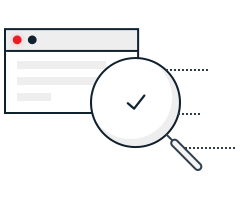 We also detect mobile and web application requests that aren’t typical of a normal user. We always know when something is wrong or out of the ordinary, ensuring your ultimate protection. By analyzing the behavior of your users, we take accuracy to a whole new level. We collect human behavioral patterns such as mouse clicks, screen touches, cadence and timing. We see clicks or input done in a hidden frame or not by a user. Even the most sophisticated bots can’t bypass our advanced behavior analysis technology. By abusing encoded business logic, sophisticated attackers utilize real browsers and mobile apps to take over accounts, perform fraudulent purchases and scrape content, without triggering traditional security mechanisms. 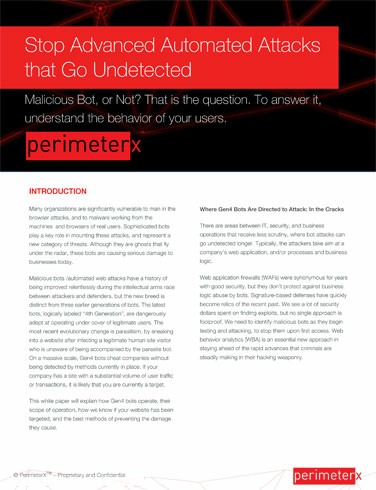 PerimeterX Bot Defender’s advanced behavioral analysis technology detects anomalies in user behavior including login dialogs and web-surfing patterns, preventing even the most sophisticated Gen-4 bot attacks. Organizations have saved millions of dollars in fraudulent transactions and operational costs after deploying web behavior analytics products and services. PerimeterX Bot Defender can be deployed anywhere and is fully compatible with your existing infrastructure including cloud services and any content delivery network (CDN) solution.